Dear friends, Happy Feast Day of Our Lady of the Holy Rosary! The Marian celebration we celebrate on Oct. 7 originated from the victory of Lepanto (1571) attributed to the maternal intercession of Our Lady. It was instituted by Saint Pius V to commemorate and thank the Virgin for her help in the victory over the Turks at Lepanto on October 7, 1571. 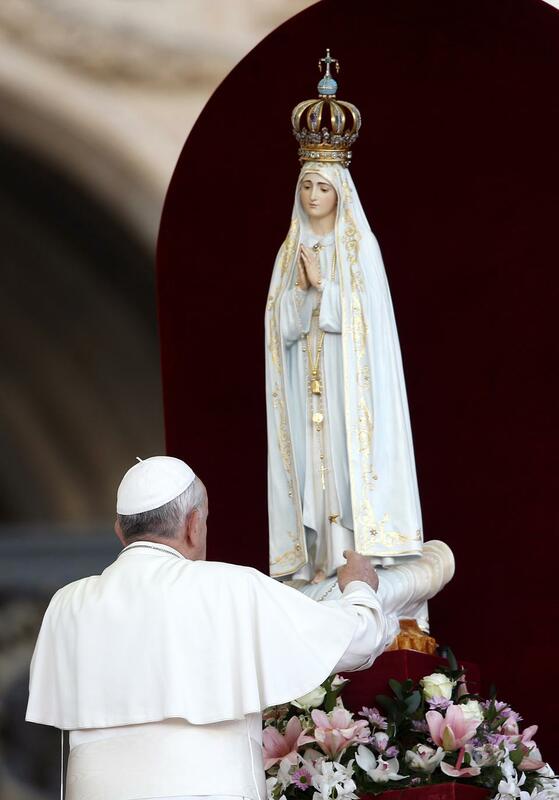 And don’t forget to pray for the Synod when you piously recite the Holy Rosary. -Fr. Rolly Arjonillo, priest of Opus Dei, CATHOLICS STRIVING FOR HOLINESS. We are also in Facebook: www.facebook.com/CatholicsstrivingforHoliness. Hope you like our page and invite your friends as well to do so in order to help more people. Prior to this date there were serious threats to the Christian faith from the Ottoman invasion. In fact, on 1566, Pius V wrote the Grand Master of the Order of St. John of Jerusalem to dissuade him from his idea of leaving the island of Malta in anticipation of the imminent victory of the Turks: “Let go of the idea of leaving the island. Your mere presence in Malta inflames the courage to Christians and imposes respect from the Ottomans. Know that he fears you and all your soldiers.” The Grand Master changed his mind and stayed on the island. By the end of 1566 Pius V alerted all Catholic nations encouraging them to form a League in defense of Christianity. However, due to their internal problems, the leaders of the Catholic nations did not heed his call. Three years elapsed when the Ottomans destroyed the Venetian arsenal and sent an ultimatum: either Venice give up Cyprus or war. A league was formed among Spain, Cyprus and the Papal States under the command of Don Juan of Austria, 24 years of age, to defend Christianity was formed. The League had 200 galleries, 100 transports, 50,000 Spanish, Italian and German soldiers, 4,500 light cavalry, and the number of guns needed. the wind direction was favorable to the Turks, while the Catholics had to row against the current to approach the enemy. Alí-Pashá fired the cannon to call on the Christians to fight. Don Juan accepted the challenge response with another cannon fire. Concomitantly, the wind changes its direction unexpectedly favoring the Christian side. Meanwhile in Rome the Pope awaited news, fasting and redoubling his prayers for victory. The Pope urged the Cardinals, monks and faithful do the same entrusting the event to the powerful efficacy of the Rosary. On October 7, he was with his treasurer, Donato Cesi who was discussing with him some financial matters. Suddenly the Pope turned away from his treasurer, opened a window and entered into ecstasy. Then, he turned to his treasurer and said: “Go with God. Now it is not the time to discuss these matters but the time to give thanks to Jesus Christ as our squad have just come out victorious”. He then went to his chapel. On the night of 21 to October 22, Cardinal Rusticucci woke uo the Pope to confirm the vision he had. With manly tears St. Pius V repeated the words of the old Simeon, “Nunc dimittis servum tuum, Domine, in pace (Lord, now you can let go your servant to rest in peace” (Luc.2,29). The next morning he proclaimed the good news at St. Peter’s after a procession and a solemn singing of “Te Deum”.